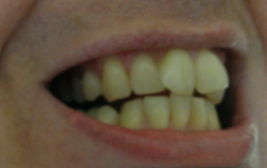 It’s been a few weeks since I got my braces off. 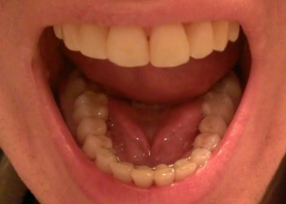 Below are some before-and-after pictures (after = two weeks after, not today which is three months after). You can see that the top ones in front were angled out and have been straightened, while the bottom ones which were completely crooked have all been straightened out as well but they are still not the same size which makes them look weird. Even the top ones are not the same size, either. There’s not much I can do about that unless I get more cosmetic work done. That’s the best comparison I have when looking straight on into the camera. 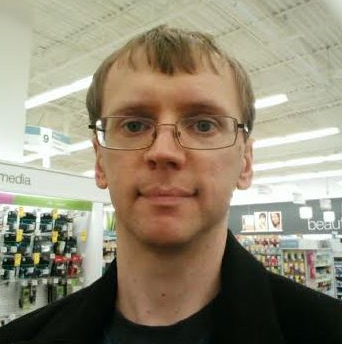 It’s hard to tell, but from what I can see it appears like my jaw and face is a little narrower, and my chin is a little “flatter” whereas before the left side of my chin came down a bit lower than the right side. 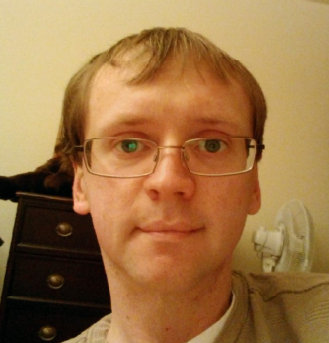 Overall, my face is even less round than it was before; or rather, it’s a bit more oval now. Of course, some of it is natural aging. Our faces grow longer as we get older, and the pictures above are 21 months apart. So that’s part of it, too. 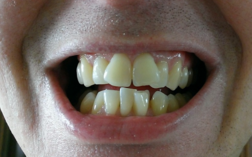 The lighting and shading is also not identical. But yeah. 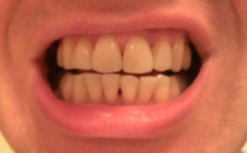 My teeth have changed for sure. In my last post, I went through my father’s lineage on his father’s side. This post is my father’s lineage on his mother’s side. This one is easier because whereas for the Zink side I had to rely upon the Internet, for my paternal’s maternal line someone in our family has already done the research. Jewish (Ashkenazic): variant of Cohen. North German (also Köhn): from the personal name Kohn or Köhn, former Low German short forms of Konrad. This last name is of Jewish origin, no questions there. That’s the second Jewish last name I can find in my family history. We can trace the name of my great-great-grandfather back to Kalisz, Poland, to the mid-1800’s, I don’t have the exact date-of-birth. He was a peddler or merchant, and he was Jewish. He was ambushed and killed (exact circumstances unknown) in 1864. The town of Kalisz appears to be the origin of the Kohn name, and it is one of the older cities in modern-day Poland. 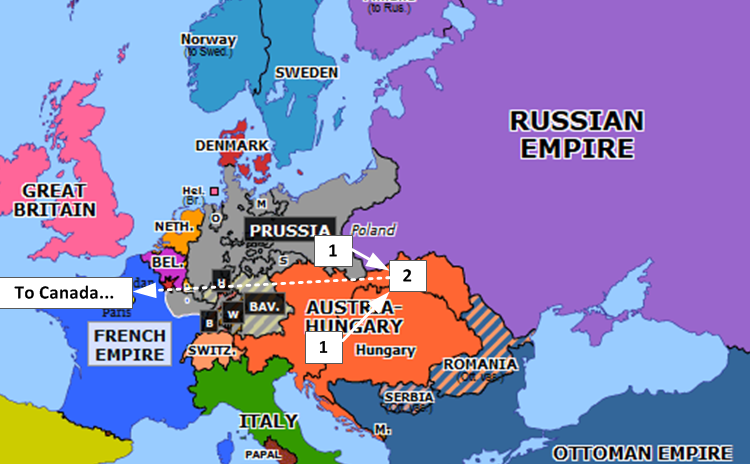 However, at the time, Poland had been invaded and spliced up by its neighbors Prussia, Russia, and Austria in 1795 – and so Kalisz was part of Prussia. Napoleon invaded a few years later and it lived (sort of) as a quasi-independent state until 1815 when the Congress of Vienna gave back much of Poland to Russia – including Kalisz. Kalisz stayed as part of the Russian empire until after World War 1 (during this time Poland was known as Congress Poland). Kalisz was always close to the Prussian border and had a lot of German influence which accounts for the family’s German – as opposed to Polish – heritage. My great-grandfather – the son of the one who was ambushed and killed – moved to the province of Volhynia in Ukraine in 1874. I’ve looked up the border history around this time and it’s hard to distinguish; the borders of the region were fluid until after World War 1. Thus, I am not sure if this area was part of Austria or Russia, or if Ukraine was independent at that time, or merely a Russian province. Below is a map showing where Volhynia is in modern-day Ukraine. 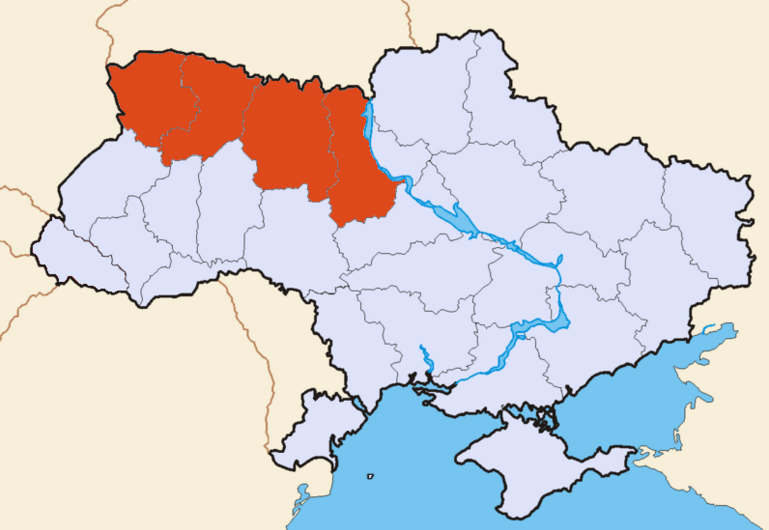 In any case, Volhynia is a region in modern-day northwestern Ukraine. My great-grandfather married in 1886, and served in the Russian military for five years. He eventually left to emigrate to Canada in 1893 to avoid having to serve in the Russia armed forces, which was required every two years. My great-grandmother – the one my great-grandfather Kuhn/Kohn married in 1886 – had the last name Buss and the family was Protestant, and she was from the Austrian empire. However, her mother’s last name was Schmidt (whether maiden name or married last name, I don’t know). German and Jewish (Ashkenazic): occupational name from Middle High German smit, German Schmied ‘blacksmith’. This is the third surname in my family lineage that has Jewish origins. Anyhow, the family left for Canada in 1893. My great-grandfather was 35 and my great-grandmother was 24. 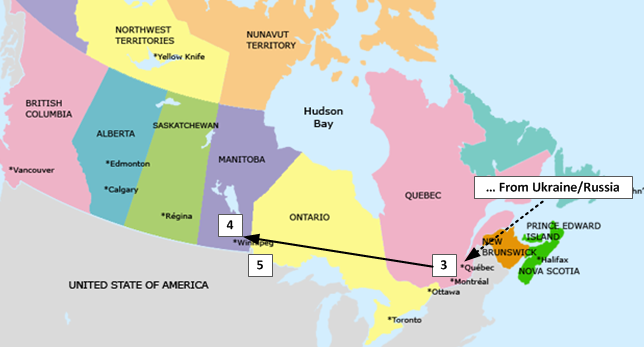 They arrived in Quebec City in May 1893, and travelled to Winnipeg, MB, Canada where they lived for four years until 1897. A few months later, they moved to Whitemouth, MB, Canada which is not far from River Hills where my paternal grandmother would have met my paternal grandfather. The Kohn family started off in Kalisz in modern-day Poland but at the time was a border city near Russia, but 50 years earlier was part of Prussia. The Kohn’s moved to Volynia in modern day northwestern Ukraine in the 1870’s. The Buss’s (born of the Schmidt’s) similarly moved from Austria to Volynia. The family moved to Canada in 1893, stayed in Winnipeg until 1897, then moved to Whitemouth in 1897. The above map doesn’t show Whitemouth, MB, but it’s about 1 1/2 drive from Winnipeg. So that’s the origin of my family on my father’s side. It’s not completely accurate but it does fill in quite a few gaps that I never had before. Once again, I can’t trace back any further than the mid-1800’s. Prussia technically wasn’t part of Germany back then, but the place where the family lived does account for why we have German roots. In my next post, I’ll look into my mother’s side. I’ve been doing a lot of family history investigation over the past couple of months and what I’ve found has fascinated me. I used to hear rumours that my lineage had some Jewish ancestry. I was always skeptical of this because we have no Jewish customers in my family, nobody speaks Yiddish, and instead everyone speaks German. Europe is a place that today is reasonably tolerant but in the past has historically been anti-Semitic all too often. And, I had always assumed that my ancestors came from Germany. Even now, I don’t have the full story, but I do have a pretty good piece of it. To begin with, the Zink name has its origins in Germany. From Middle High German zinke ‘peak’, acquired either as a topographic name by someone who lived on or near a crag or on a pointed piece of land or as a nickname for a man with a singularly pointed nose. Compare modern German slang Zinken ‘hooter’. It was not until the 16th century that the metal zinc was discovered and named (apparently from its jagged appearance in the furnace), so this is unlikely to be the origin of the surname. This most interesting and unusual surname with variant spellings Synke, Syncke, Zincke, Zink etc., has two distinct possible origins, both Germanic. Firstly, the derivation may be from the male given name Sink, itself a Frisian form of Signand meaning "Victory-Ventury". Alternatively, Sink may have originated as a topographical name from residence on a pointed piece of land, or as a nickname for a man with a singularly pointed nose. 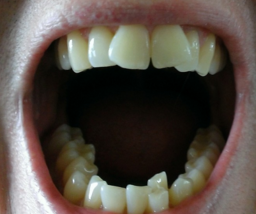 The derivation in this case is from the Middle High German "Zinke", (Old High German, "Zinko"), meaning tip, point or prong. First found in Bavaria, where the name was closely identified in early medieval times with the feudal society which would become prominent throughout European history. So there you go, it’s either someone who lived by a pointy or craggy piece of land (such as a cliff, or a land jutting into a lake), or someone with a pointy nose. It also originated in Bavaria, an area in current-day southwestern Germany. 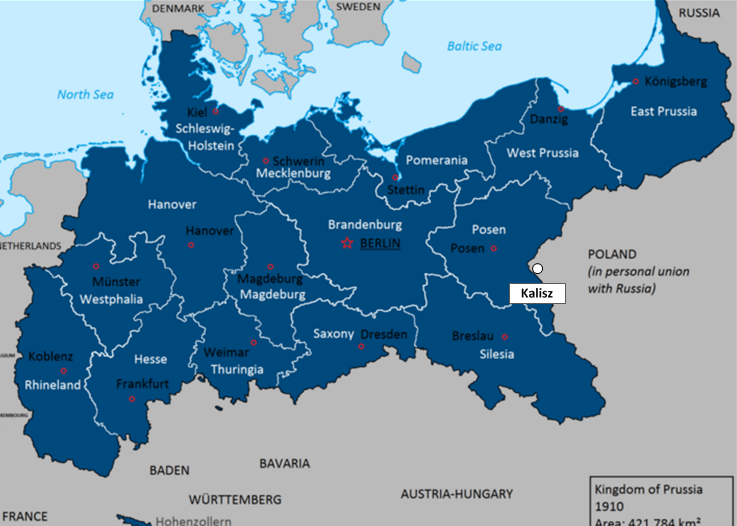 Here’s what Germany looked like when it was just a bunch of small, independent German states, loosely collected under the Holy Roman Empire (which was dissolved in the early 1800’s when Napoleon invaded and tried to conquer the rest of Europe). 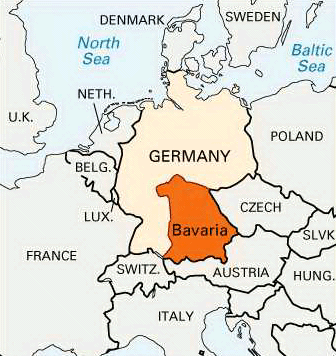 Bavaria is the region outlined in red. So that probably explains why my father’s side spoke German. And it explains why I always thought we were of German origin. However, when doing ancestry research on my father’s side, I can’t find any relatives who came from there, as I’ll explain below. My father was born in Canada in the 1940’s, but his father was born in 1898 in Costanza, Romania, in 1898. Furthermore, my great-grandfather was born in Odessa, Russia (now part of the Ukraine) in 1873, and my great-grandmother was born in Constantza, Romania, in 1873. This means that my great-grandmother and grandfather were each born in the same town. My great-grandparents on my father’s side were married in Odessa in 1897, so they married in Russia but had their first child in Romania. Less than two years later, they emigrated to Canada. The Zink name originated in Bavaria (modern-day southwest Germany). Assuming they stayed there, at some point between 1763 and 1873 they moved to Odessa, Russia. I’ll explain why it was after 1763 in a future post. My great-grandfather was born in Odessa, Russia. Also in 1873, my great-grandmotherwas born in Constantza. At the time, Romania was still part of the Ottoman Empire. Her last name was Krieg, whose name means “nickname for an argumentative person.” The word ‘krieg’ in German means ‘war’, which is probably the origin of the nickname. The name ‘Krieg’ is of Swiss, German, and Jewish (Ashkezanic) origin. That’s the first surname I found in my family history that is of Jewish origins. In 1897, my great-grandparents got married in Odessa, Russia. In 1898, they moved to Constantza, Russia (my great-grandmother’s home time) where my grandfather was born. 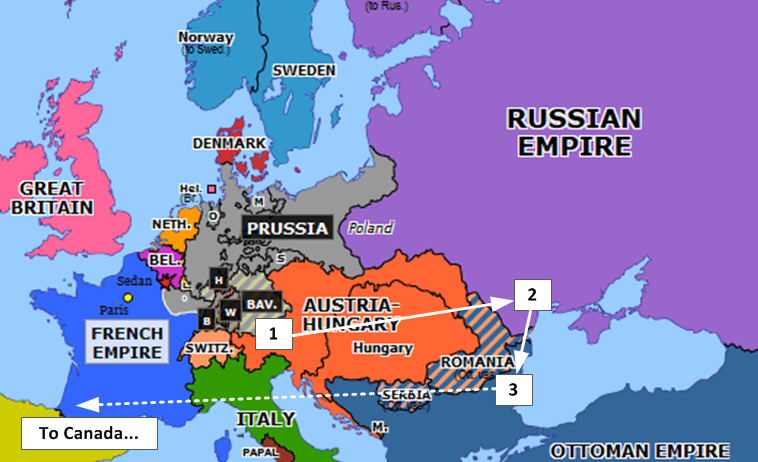 Around 1900, but before 1902, the left to go to Canada. We don’t have any landing records for my great-grandparents in Canada so we think he may have landed in the United States and then entered Canada from there. Sometime after 1900, after arriving in North America, they made their ways to River Hills, Manitoba, Canada and set up a farm where the family stayed, even to this day. River Hills, even today, is a small town. It would have been even smaller back then. 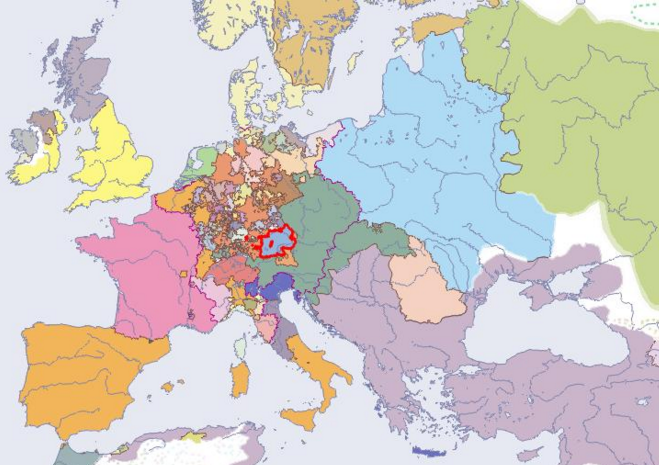 The below diagram shows the order of movement of the Zinks superimposed on a map of Europe around 1870. So, you can see that the Zink name originates in Germany, but I can’t anything further back than my great-grandfather being born in Russia, and his wife being born in Romania (technically the Ottoman Empire, although even then I am not sure of the borders). I know the names of my great-great-grandparents on the Krieg side, but not where or when they were born. That means that there is a big, undocumented gap from when the Zinks first appear (in my research) to when the name first appears in Bavaria. In other words, I only find Zink relatives starting in Russia. In a future post, I’ll look at my maternal paternal side, that is, my father’s mother’s side. Last month, I posted that I was almost a US citizen. Well, now I am. It happened last week. I went down for the interview, but before I did I had to pick up my lawyer. He was a bit late because he had another meeting, but we still made it on time to my appointment at 2:55 pm. We waited for about half an hour before getting called in, and I was glad to have my lawyer present. The interview went smoothly; at first, they ask you a bunch of questions going over your application and asking me if I have ever been a member of the communist party, if I have ever practiced polygamy, or if I have ever been a habitual drunkard. I answered ‘no’ to all of them. They then asked me to read a single sentence, write a single sentence, and then asked me some of the civics questions that US citizen applicants are required to answer. I don’t know how many they ask in total, but I got the first six correct and that was it. They then looked at my application and saw it was on the basis of being married to a US citizen. They looked over all the paperwork I supplied including joint bank statements, joint credit card statements, joint telephone statements, pictures of us on vacation, pictures with family, and airline tickets. 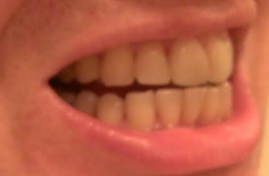 The officer said that those were great but there may be a problem because I didn’t have proof of co-habitation – neither my wife’s name nor my name is on the title of the house where we live because my father-in-law owns it, and we are a couple of deadbeats living there (paying for the maintenance and upgrades). In the end, it was all fine and I was approved. The next day I went down to the ceremony to be sworn in. The ceremony took about an hour. They played a video, told of us of our new responsibilities, had us all take an oath of allegiance, and then had us all collect our citizenship certificates. And with that, I was a US citizen! One thing that caught me completely off-guard was how emotionally moving the experience was. I was looking forward to it and the whole time leading up to it, I was like “Okay, now I will be a citizen.” But when I was there, I suddenly felt like “Man, this is a big deal. Why do I feel this way inside?” I felt trembling on the inside, moved by it all. 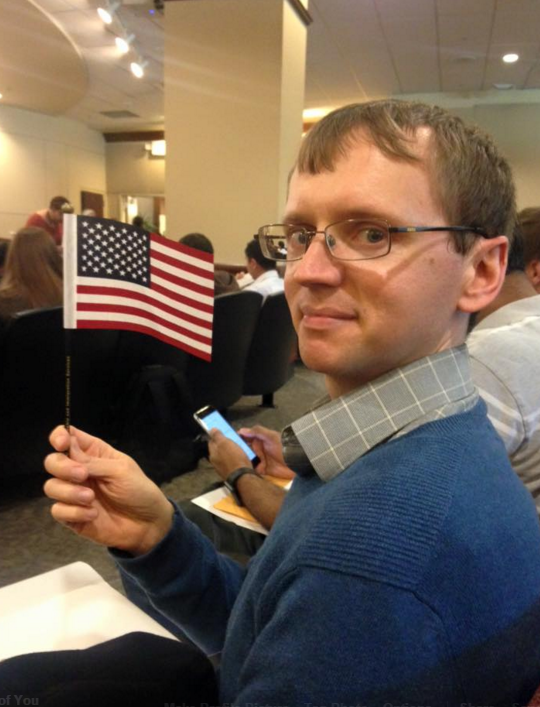 There were 65 applicants for citizenship, including me, from 30 different countries. There people from Sweden, Latin America, the far East, and even Iraq. It was neat to see how many different people came to the US and went through the whole process. And now I am a US citizen! One thing that always comes up and I’ll answer it now is that I am still a Canadian citizen, in fact, I am a dual citizen. People seem to think that I can lose my old one, but since the 1960’s the United States has recognized dual citizenship although they don’t encourage it. So don’t worry Canada, I’m still one of you. As I type this, I have one cat sitting in my lap and the other one sitting by my feet. We have a new cat! Esmerelda! Or Zelda for short. We got her in December, and at the time she was 3 months old, according to her papers. She seems to be quite a large cat for 4 1/2 months old (the age she is now), we’re hoping that she doesn’t get too big. Esmerelda fit all of those criteria. In fact, she was the only kitten there that did. The others were either the wrong color, wrong gender, or wrong length of hair. The cat shelter had a profile of her when I picked her up, and it said she was Vocal (completely true), Active, Playful, Likes behind held (completely true), and Needy (unbelievably true). The description said that she likes to be near your face, and she would climb all over her littermates if that’s what it took to get there. 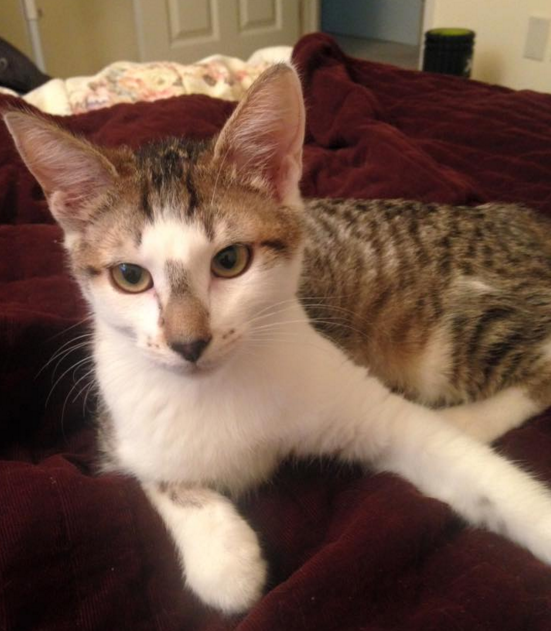 When I first took her home, the first couple of days she walked around the house meowing. But since then she has calmed down as she has adjusted to her surroundings. Ruby, on the other hand, did not have an easy adjustment. As a matter of fact, she did nothing but growl at her, and hiss, and swat. In fact, the first day or two, I couldn’t even pet or touch Ruby without first washing my hands or changing my clothes. She hated her that much. 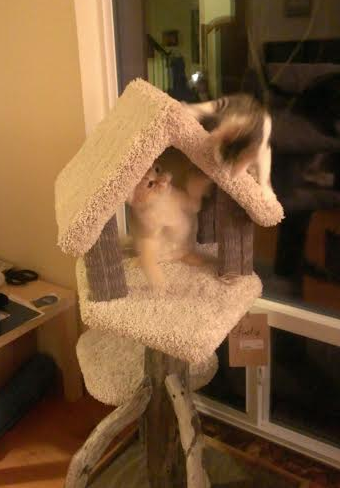 The below picture is blurry (my phone is not great), but it’s taken one second after Ruby laid a swat down on Zelda. Whack! Whack! Whack! Zelda loves playing with Ruby, but the feeling is not mutual. Here, Zelda is throwing her paws at Ruby and Ruby is swatting back, hissing and growling. Ruby does seem to have a case of bipolar, however. There are many times when the two of them will touch noses and walk away with nothing happening. Indeed, they can sit side-by-side sometimes and co-exist just fine. 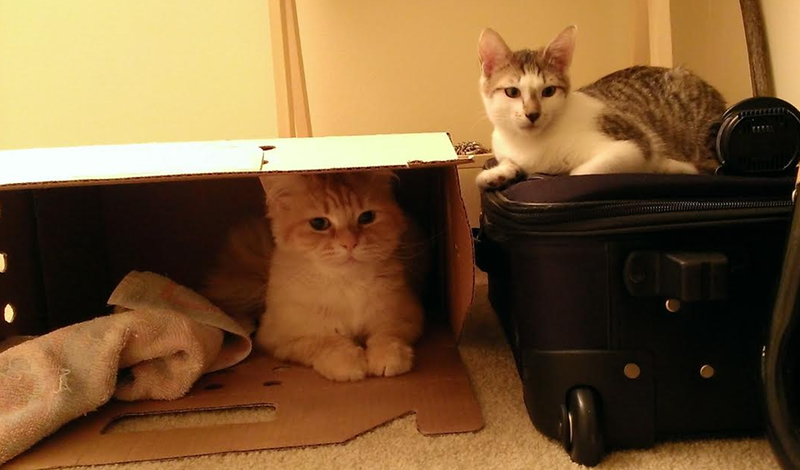 The below picture, one cat is in a box. 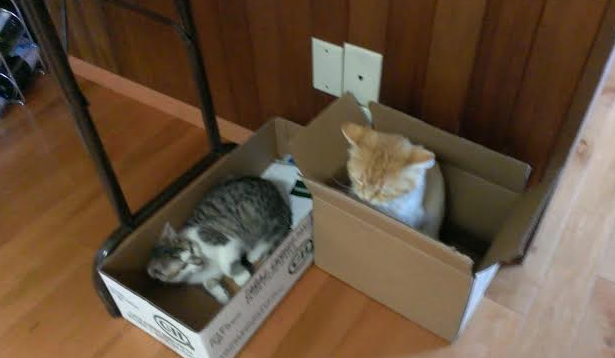 There are a couple of inches away from each other, but the box extends forward (due to the angle you can’t see it) so they can’t see each other. Ruby also does play with Zelda. They’ll chase each other up and down the hall, with Ruby hissing the whole way. She also pounced on Zelda one day, realized she was too close and inhaled her smell, then growled, hissed, and jumped away (she freaked out Zelda with her pounce; but freaked herself out, too). But Zelda also loves to sleep near Ruby, at least when they are on the bed or the couch (and one of me or the wife is there, too). Here’s the two of them where Zelda crawled up to her and started to sleep. Ruby wasn’t happy, but she was also too lazy to move. If Zelda gets any closer, Ruby hisses or growls, and then jumps away. Or swats. So you see, they can co-exist. Ruby is kind of grumpy and ornery half the time when Zelda is around, but the other half she is okay. When Zelda is not around, Ruby more or less reverts back to her old self. Zelda loves to sit on me, especially when I am trying to eat at the table. She definitely meets the definition of needy. So, that’s what has bee up at our house over the past few weeks.